Primary Assistant Teacher Admit Card – www.dpe.teletalk.com.bd. www.dpe.teletalk.com.bd published primary assistant Teacher admit card on there official website. Assistant Teacher Written Exam Will be held on 29 October 2016.You can Download your Admit Card from my website. 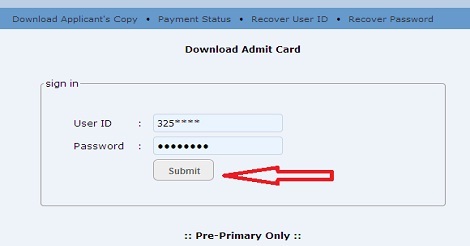 For Download your Admit card you have need user id and Password for log in there website. After give this user and password at http://dpe.teletalk.com.bd/admitcard or this website you can easily Download your Admit card . Hope You Successfully Download Your Primary Assistant Teacher Admit Card . Thanks for Stay with us. For more information bookmark this website.